Cooking has been an interest of mine as long as I can remember. Some of my best memories are of cooking with friends, or with my Mom and Nana. 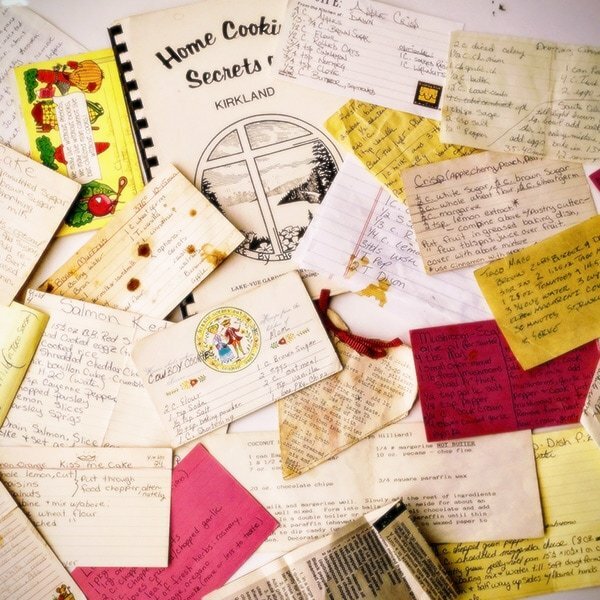 My recipe collection spans a few decades, and most of them are handwritten. There are some that when I pull out the card, I am immediately transported back to another time, Another kitchen. Beautiful cooking memories, with cooks who took the time to teach me to love the history, the tradition of our food. My mom was a cook, as was my dear Nana, and a handful of other women I was to cross paths with on my cooking journey. I was lucky to be with them, learning at their apron strings. My style of cooking is casual, uncomplicated (most of the time, if I can get out of my own way! ), and everything is made from my heart. I love to feed my tribe, and look forward to gatherings where we can all be together. Nothing is more fulfilling to me than hanging out with the people who mean the most to me, eating, laughing, and sharing precious time together. I hope my recipes will help you get the meal on the table a little easier, so you can enjoy the time with your tribe.